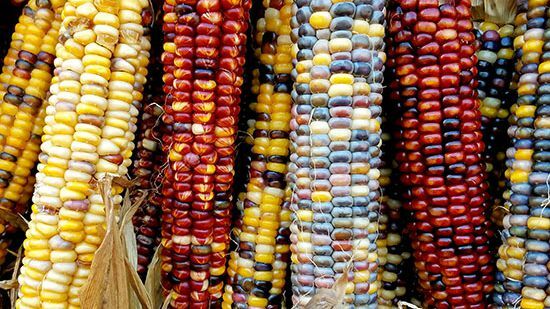 Lord knows we've seen our fair share of artificially-created rainbow treats, but glass gem corn is nature's way of getting in on 2016's most talked-about food trend. The all-natural, familiar vegetable that can be creamed, steamed and mashed to create delicious bread (our personal favorite) has gotten a fancy and awe-inspiring upgrade. And it's all thanks to Oklahoma farmer Carl Barnes. Blending seeds from different varieties, Barnes' museum-worthy hybrids boast kernels in shades that rival any Monet. In fact, people love his corn so much, there is an entire Facebook page dedicated to the creations. Before you ask, no... these do not pop into movie snacks that resemble unicorn feed, but they're certainly pretty to look at. And who doesn't like looking at pretty things? Check out a video that explains the growing process in further detail.